Ballamy LLP is a firm of forensic accountants. We provide expert evidence and litigation support and perform financial and regulatory investigations. Our combination of exceptional talent and extensive experience enables us to develop and deliver the most appropriate and robust solutions for our clients. Our wealth of experience means that we excel in bringing clarity to complicated financial situations, ensuring our clients receive reports and analyses of the highest quality that address all relevant issues on a timely and cost-effective basis. the valuation of shareholdings and businesses for a wide range of purposes. Performing critical assessments of the methodology and calculations of other experts in this field, we base our work on a fully-corroborated analysis of the relevant facts, and we fully justify our choices of assumptions. We frequently assist our clients by preparing sensitivity analyses which show the extent of variations in the quantum of losses occasioned by incremental changes in key assumptions. Mark was instructed by lawyers representing a defendant to criminal proceedings brought by the SFO to opine on the causes of the inability of a company to continue in operational existence as a going concern. This assignment involved assessing whether there was evidence of a causative link between the indictment offences and the company’s subsequent failure. Mark and Sid provided assistance to a client in an international arbitration under the LCIA Rules with respect to a dispute arising from a Sale and Purchase Agreement. Acting for the Respondent, they have examined the accuracy of the claim for over €7m and assisted by drafting submissions to the Arbitral Tribunal on behalf of the Respondent. Mark was engaged to give expert evidence by the lawyers defending an individual in criminal proceedings brought by HMRC. The individual was charged with cheating the public purse of a substantial sum by submitting allegedly false VAT Returns. On the day following Mark’s oral evidence, HMRC sought leave to prefer a lesser charge which enabled the Court to impose a non-custodial sentence. Mark has acted for a client facing charges for abuse of office whilst the Chairman and Chief Executive Officer of a large overseas corporation. A claim for loss of profits in excess of US$300m had been made with the principal allegation being that preferential treatment was offered to key customers with the inference being that the individual had instigated and benefitted from this arrangement. Ballamy LLP has been appointed by the FCA to its Forensic Accounting Framework as one of a small number of suppliers to assist the FCA’s Enforcement division in conducting forensic investigations into suspected misconduct and compliance failures (against both firms and individuals) in the enforcement of FSMA, FCA rules and other regulatory requirements. We are also experienced in working constructively with our Instructing Solicitors in tracing the movements of funds through the international banking system to identify assets for recovery. Importantly, our familiarity with Blockchain technology enables us to perform detailed analyses of transactions involving cryptocurrencies, such as Bitcoin, with the aim of assisting our clients and instructing solicitors to to expose the identities of the relevant individuals & entities involved in cryptocurrency transactions. to assist in locating individuals, entities and assets from, for example, domain names, IP addresses, a person’s use of social media and the identification of other internet footprints. Mark and Sid have been engaged as “Competent Persons” by the Jersey Financial Services Commission under Article 33(1) of the Financial Services (Jersey) Law to investigate the conduct of a Jersey trust company and its officers who had responsibilities for the stewardship of the trusts and companies under investigation. Their report to the Jersey Financial Services Commission was subject to Maxwellisation and contributed to the resolution of regulatory issues and of disputes between the trustee and various groups of stakeholders. Sid has been engaged to assist the Financial Reporting Council in ascertaining whether there is evidence which is persuasive of a member of the ICAEW having failed in his duty to comply with the fundamental principles set out in the ICAEW’s Code of Ethics, including considerations as to whether the member had complied with his duty to act in the public interest. Ballamy LLP was instructed by the legal advisers of an individual who was prosecuted by the Serious Fraud Office for facilitating the making of allegedly corrupt payments by his former employer to win a large infrastructure contract. Our work concentrated on demonstrating that no component of the former employee’s remuneration over a 10-year period was connected directly or indirectly with his employer’s success in winning the contract in question. Ballamy LLP is advising lawyers assisting a client in responding to the first Unexplained Wealth Order made by the High Court. The UWO was made on 27 February and it stipulated a maximum response period of 7 weeks. During this time answers must be given to 50 detailed questions about the source of funding used to acquire a specified asset, and 11 classes of documents relevant to the asset’s acquisition are required to be provided to the National Crime Agency. In circumstances where the relevant asset was acquired some time ago it may be necessary to obtain memory-refreshing documents before being able to answer the NCA’s questions – answers given recklessly may expose a respondent to an UWO to criminal liability. Obtaining relevant documentation may prove challenging, and time-consuming, if the asset were to have been acquired more than 6 years ago and if the asset is legally owned by an offshore entity. In these circumstances, 7 weeks is a very short time. Indeed, compliance with this short response period becomes even more difficult if financial institutions respond slowly to requests for information because of the need for their potential legal and regulatory exposures to be carefully assessed. After all, once an UWO has been made, there is greater suspicion that the monies used to finance the asset’s acquisition may have been the proceeds of crime. The timetable for compliance with the requirements of UWOs is very challenging. Transparency International has already published details of five UK properties that it suggests warrant applications for UWOs to be made by the NCA and it is thought that further suggestions will be made by Transparency International over the coming weeks and months. To be forewarned is to be forearmed. Law firms should not delay in recommending to their appropriate clients that precautionary action should be taken now to assemble all documents relevant to the funding of UK assets that could provoke UWOs. 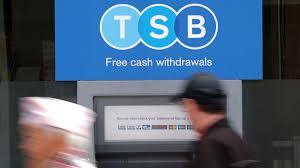 It will have been impossible to miss the news that an IT upgrade has potentially affected up to 1.9 million TSB customers with online banking facilities being down for over a month now. Action Fraud, the UK police’s dedicated fraud tracking team, has revealed a significant increase in reports about phishing attacks connected to TSB’s massive IT outage with some customers’ accounts being entirely wiped out. On Sunday 20 May The Guardian reported that analysts believes that the chaos caused by the IT upgrade will cost the bank tens of millions in fines and compensation. Ballamy LLP will be very happy to assist victims of the TSB technology fiasco in quantifying their claims for both direct and consequential losses. Mark is the Senior Partner of Ballamy LLP and has more than 25 years’ experience of providing forensic accounting services to a range of international clients. He is highly experienced in the preparation of expert reports and giving expert evidence in Court and has significant recent experience in international arbitration. 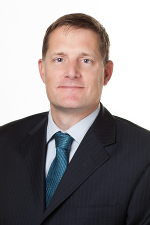 Mark is recommended in the 2016 edition of “Who’s Who Legal: Consulting Experts” which praises his “vast experience” and his “high-quality analysis”. Mark is a member of The Academy of Experts and is a Fellow of the ICAEW. 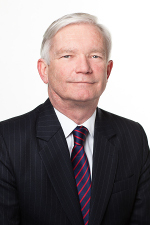 He is an ICAEW accredited forensic accountant and an Accredited Accountant Expert Witness. He is a member of the Association of Certified Fraud Examiners and an associate member of the Chartered Institute of Arbitrators. He is a mediator accredited by The Academy of Experts. Sid has over 16 years’ experience of working in the forensic accountancy profession and is a Fellow of the ICAEW. Sid is highly experienced in conducting regulatory and financial investigations, providing litigation support in commercial disputes and undertaking business valuations. Sid’s recent clients include the Financial Conduct Authority, the Jersey Financial Services Commission, the Financial Reporting Council and a number of top 20 law firms. Sid is an ICAEW accredited forensic accountant and an Associate member of the Association of Certified Fraud Examiners. We have developed a network of trusted contractors and experienced specialists who are able to supplement our resources with a comprehensive range of services including forensic computing, direct and indirect taxation and actuarial services. We are always interested in meeting high-quality Chartered Accountants looking for both permanent and temporary positions. Previous experience of forensic accounting, and in particular of the investigation of suspicions of fraud and other financial irregularities, is desirable, but we are willing to consider applications from newly-qualified ACAs with no such previous experience who are keen to pursue a career in forensic accounting. If you would like to be considered for a career with Ballamy LLP, please e-mail your CV to recruitment@ballamy.co.uk together with an explanation, in not more than 500 words, of why you want to be employed by us and the qualities that you would bring to our team.